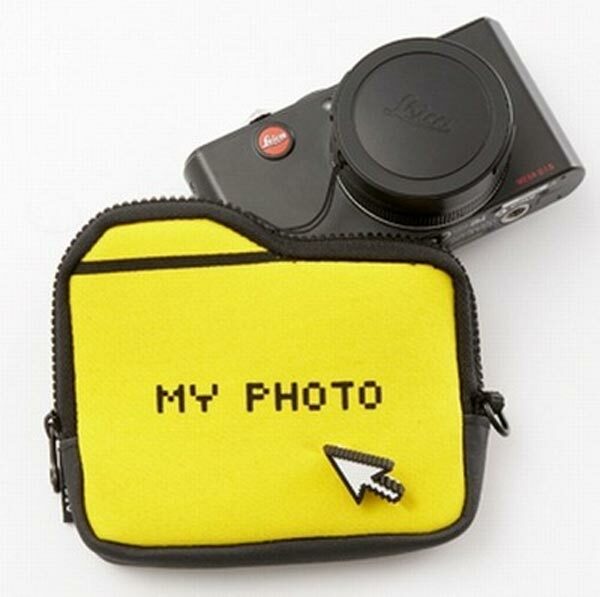 Some of our readers will remember the fun My Documents laptop sleeve, now there is a version available for your compact digital camera, the My Photo Camera Case. The My Photo Camera Case measures 4.5 inches in height, by 3.75 inches wide, by 7 inches deep, and it is made from a combination of neoprene and fleece. If you want one, the My Photo Camera Case is available for $10 from Generate, the perfect accessory for your My Documents laptop case.